You’re always looking for ideas to decorate in an eco-friendly way your B&B or your house? 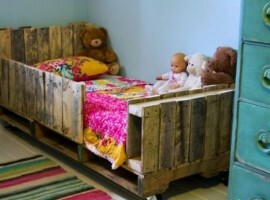 Here are some ideas to be discovered to recycle the pallets! 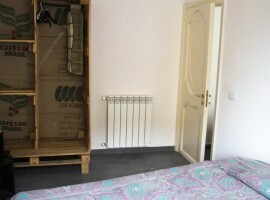 Garden furniture, such as tables and bookcases in the living room, but also in the bedroom: the wooden pallets are versatile, ecological and economic. Arm yourself with sandpaper, hammer, nails, screws and a little fantasy! Here are our favorite ideas! Before building your furniture, you must sand the surface and treat pallets with the appropriate primers from the outdoor to make them last longer. Now the pallets are ready! 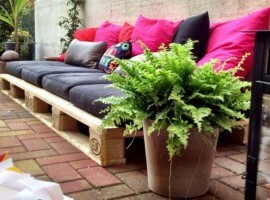 Create a sitting area is really simple. 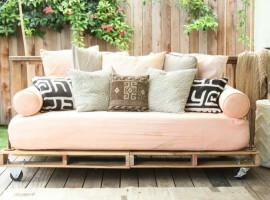 Depending on the size you need, combine two or more pallets being careful that they are on the same level. 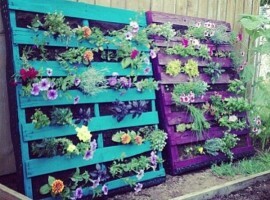 The effect of the natural pallet is already very nice, but if you prefer you can paint them (with ecological paints!) with the color of your choice. The structure seems too low? 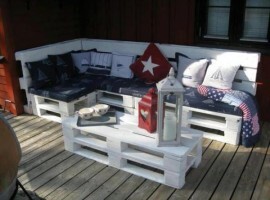 Just place the same number of pallets on the base that you have created. 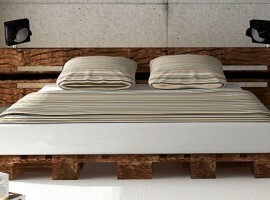 If you want to create a headboard paste the pallets upright behind your base. Now just get some pillow or simply create it with some foam covered with a fabric of your choice. 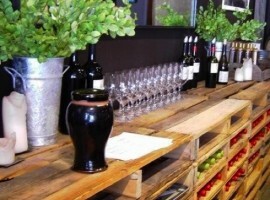 Do you want to welcome your guests with a table for an organic breakfast? 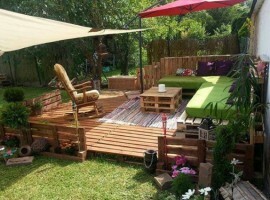 With the pallets it is very simple and economical. In this case, you should sand the surface being careful not to hurt you. 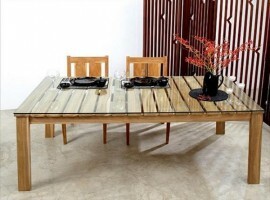 Get your favorite ecological and color your table. For the structure, the only limit is your imagination! 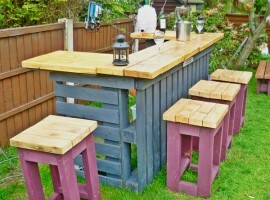 There are in fact many ways to build a table with pallets. The simplest requires to place two pallets in the vertical direction and the other two horizontally, by setting all the parts with screws. If you prefer, you can cover the surface with a sheet of glass. Your table is ready and it’s beautiful! 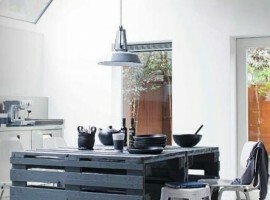 Alternatively, especially if you have a little experience in DIY projects, you can use two pallets as a base and disassemble at least two more to get the wood sheets. So cover your base and use the larger wooden sheets for the legs. 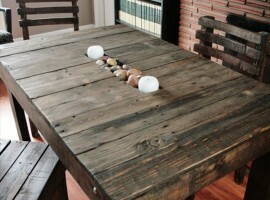 Fix everything with hot glue and screws, and your table will be ready! Your guests will never believe that you did it! 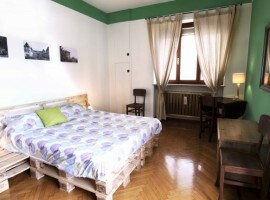 The idea to build a bed in pallet came to Sara, host of the beautiful B&B Ven sì, in the heart of Turin. Make a bed like this is easy and really cheap! 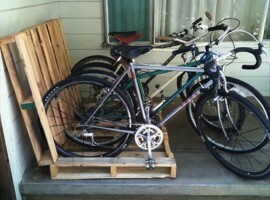 Arrange four pallets in the shape of a T and secured pallets to each other with screws. 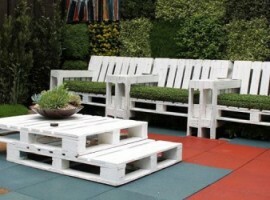 The platforms are about 15cm high, if you prefer a bed a bit higher, simply add another 4 pallets over the previous ones. Now you just have to put the mattress. You have created some ledge: they are your bedside. 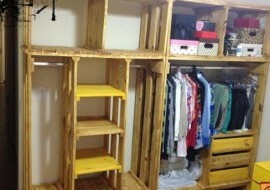 If you want you can also easily create the head, placing two pallets vertically between the wall and the base. 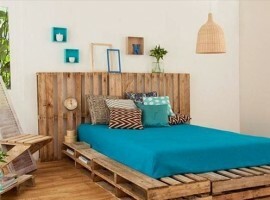 The size is customizable, choose the number of pallets more appropriate to the size of the room. Your accommodation (or your home) doesn’t have a garden but you want to spice up your dishes with some nice and organic herbs? 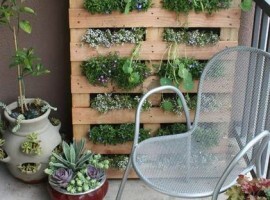 In a few steps you can create a beautiful vertical garden to put in the balcony. 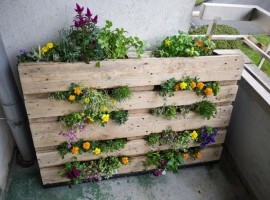 You will need a pallet, a cloth and the soil. Put the pallet upside-down with the open face up and cover with the cloth across the surface leaving discovered a side and the front part. Fix the cloth with staples or nails. At this point you can begin to fill the pallet with soil. At first it is best to keep the platform horizontal and tilt it up to get it upright as the seedlings grow and manage to keep more land. Compact a bit the topsoil and proceed to seeding or transplanting the seedlings. Your garden is ready and the result is wonderful! 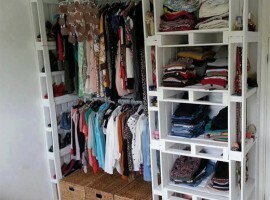 Open a B&B involves many expenses, but you can save thousands of euro by opting for an eco-friendly furniture, from a waste material such as pallets. You help the environment and will have the unique and original rooms! This entry was posted in curiosity and tagged better world, eco-friendly furniture, eco-friendly hotel, ecology, furniture, green-economy, pallets, recycle, recycling, reduce the carbon footprint, respect for the environment. Bookmark the permalink.